Chicago, IL: Wrox Press Ltd, 1999. Text/BRAND NEW & Bright. Softcover/NF w/trace shelfwear. Faint soiling (liquid drip?) to lower edges of last 10 pages. 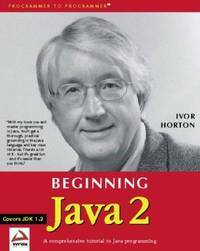 Lucid tutorial the Java programming language. Beginning with basics (Java syntax, data types, and objects/classes) to thorough coverage of advanced topics such as operators, loops, conditional statements, and Java API. 1110 pgs in 19 chapters, w/ample examples, followed by 5 appendices. Fine copy w/minor flaws.. First Edition. Soft Cover. NEAR FINE/None as Issued. First Edition. New York, NY: Charles Scribner's Sons, 1915. 1915 vintage, highschool, mathematics textbook. Primary, historical resource to algebra as was taught a century ago in California. Text/Near new w/light soiling. Maroon linen boards/Good; sound w/marked fading & discoloration. DJ/None. PO name to front cover verso (Algebra 1st Year, Freshman, UUHS, Mendocino County, CA), pencilled notes to rear cover verso. 322 pgs in 14 chapters followed by 7 appendices.. First Edition, First Thus. Hard Cover. Good/No Jacket. Vintage/Algebra Textbook. Salt Lake City, UT: Gibbs Smith/Peregrine Smith, 1995. BRAND NEW Copy w/a whispher of edge wear to softcover. Arts & crafts. 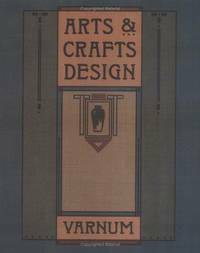 Textbook and practical guide for craftsmen & collectors. 248 pgs w/line drawings, photos, and charts. 17 chapters: I, Divisions of Industrial Arts Design; II, The Primary Mass & Its Proportions; III, Horizontal Major Divisions of the Primary Mass; III, Vertical Major Divisions of the Primay Mass; IV, Appendages & the Rules Governing Them; V, Enrichment of the Contours or Outlines of Designs in Wood; VI, Enrichment of the Contours or Outlines of Designs in Clay; VIII, Enrichment of the Contours or Outlines of Designs in Base and Precious Metals; IX, Surface Enrichment of Small Primary Masses in Wood; X, Surface Enrichment of Small Primary Masses in Wood (continued); XI, Surface Enrichment with Minor Subdivisions of Large Primary Masses in Wood ; XII, Surface Enrichment of Clay; XIII, Surface Enrichment of Precious Metals, Small Flat Planes; XIV, Surface Enrichment of Large Primary Masses in Base & Precious Metals; XV, Color: Hue, Value, and Chroma; Stains; XVI, Color & Its Relation to Industrial Arts Design. Large Surfaces of Wood; Wall & Ceiling Areas; and XVII, Color & Its Relation to Industrial Arts Design. Small Surfaces in Clay & Metal, Complete Summary of Rules, followed by appendices.. First Edition, First Printing. Soft Cover. NEW - COLLECTIBLE/None as Issued. First Edition, First Printing. Reading, MA: Addison-Wesley, 1990. BRAND NEW Copy w/trace soil spot to page following title page. Gilt emossed white linen boards/Fine. DJ/Fine. Illustrated endpapers. 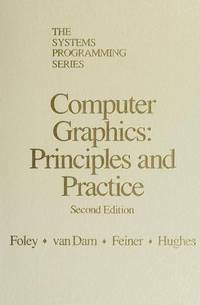 This 2nd Edition is a completely rewritten version of "Fundamentals of Interactive Computer Graphics" in the IBM Systems Programming Series. 1174 pgs, 21 chapters, followed by Appendix: Mathematics for Computer Graphics. Text augmented by some 100 full-color plates & 700 figures. Volume explores interactive computer graphisce; fine reference/resource for user's, application programmers, as well as hardware designers. . 2nd Edition. Hard Cover. NEAR FINE/New. 2nd Edition. Englewood Cliffs, NJ: Prentice Hall, 1984. BRAND NEW & Collectible. First Edition, First Printing. Red boards/Fine. DJ/None as Issued. Volume prepared for COBOL programmers working in an OS environment, and accordingly, with information on JCL, procedures, utilities, VSAM, ABEND, debugging, and Assembler Language Programming. 388 pgs in 11 chapters, each concluding w/a summary & exercises: 1, Introduction to OS JCL; 2, Needs of the COBOL Programmer; 3, Procedures; 4, Utilities; 5, VSAM Organization; 6, Assembler Fundamentals; 7, Introduction to Abend Debugging; 8, Abend Debugging Without Dumps; 9. Insight into the COBOL Compiler; 10, An Assembler Subset; and 11, Assembler Language Programming, followed 4 appendices.. First Edition, First Printing. Hard Cover. NEW - COLLECTIBLE/None as Issued. First Edition, First Printing. Paris, France: Classiques Hachette, 1927. Text/Near New w/light marginalia to pgs 145 & 192, French language text w/archival illustrations. Gray linen boards/VG; sound w/trace edge & surface wear. DJ/None. PO name to front cover verso. 336 pgs, first published 1927. Textbook. Critical, annotated anthology of French 16th century literature assembled by Justin René Chevaillier (1886-1946) and Pierre Audiat (1891-1961). . First Edition, First Thus. Hard Cover. Very Good/No Jacket. Vintage/French Literature. Boston, MA: Glaxa Music Corp, 1987. Text/Near New, Stapled softcover/VG; strong & sound w/light surface losses & soiling. PO name to front cover verso. Collection of 25 piano pieces for the new piano player. 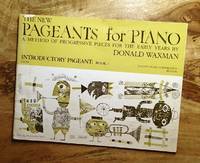 First published 1958; this revised edition of 1987 has an additional piece demonstrating key signature of one flat.. Revised Edition. Soft Cover/Stapled. Very Good/None as Issued. Illus. by Alice & Martin Provensen (Illustrators). Vintage/Piano. Glenview, IL: Pearson Education, 2013. Text/Bright, clean, AS NEW w/trace wear to last 3 pgs from faulty handling of a rather hefty book. Illustrated boards/VG; strong & sound w/edge rubs, wear to all corner tips, & surface scratches. DJ/None as Issued. Light soiling to front cover verso. Textbook. 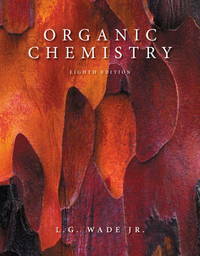 Organic Chemistry, or Chemistry of Carbon Compounds. 1258 pgs, 26 chapters followed by appendices & exercise answers to rear.. Eighth Edition, First Printing. Hard Cover. Very Good/None as Issued. Belmont, CA: Brooks Cole/Cengage Learning, 2012. Text/Hi-lighting (yellow asterisk)to pgs 942 & 943, and folded corner to Appendix A63, else Bright, Clean, As New. 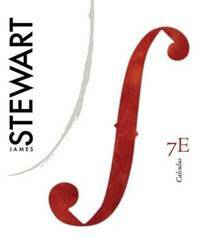 Calculs textbook & resource/reference. 1194 pages, followed by separately numbered pages for Appendix I (answers to odd-numbered exercises) & Reference.. 7th Edition, 2nd Printing. Hard Cover. NEAR FINE/None as Issued. New York, NY: Silver Burdett, 1952. Text/Bright, clean and Near New w/light soiling (coffee drips?) to margin of pgs83-89. Illustrated orange linen boards/VG; strong with edge rubs & light surface wear. DJ/None. PO (school) stamp to fEP. 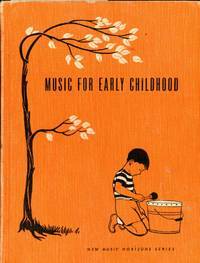 Anthology of children's song. Music score with piano and verse. Selections are accompanied by introductory notes facilitating singing, moving, listening to verse and music, and introduction to instruments --- whole activities winged with song.. First Edition, First Thus. Hard Cover. Very Good/No Jacket. Illus. by Lillian Chestney & Ellen Simon (Illustrators). Teachers' Edition. Boston, MA: D.C. Heath & Co, 1937. Text/NEW & Bright. Embossed, dark maroon linen boards/VG; sound w/light edge rubs. DJ/None. PO name dated 1944 to front cover verso. This 1937 expanded Alternate Edition was issued in response for a new set of problems to the former edition of 1925. 296 pgs followed by 18 pgs of answers to chapter problems. Text in 8 chapters: I, Cartesian Coordinates; II, Curves & Equations; III, The Straight Line; IV, The Circle; V, The Parabola; VI, The Ellipse; VII, The Hyperbola; VIII, Transformation of Coordinates & Simplifications of Equations; IX, Polar Equations; X, Higher Plane Curves; XI, Tangents & Normals; XII, Graphs of Functions & Empirical Equations; and XIII, Solid Analytical Geometry.. First Edition, First Thus. Hard Cover. NEAR FINE/No Jacket. Vintage/Analytic Geometry. New York, NY: Dover, 1945. Two volume set. Physical description for both volumes: Text/BRAND NEW & Bright. Illustrated soft covers/Fine. Both w/PO labels to fEP. Classic mathematical textbook first published in German & unformally translated by Frederick Bagemihl. Part I trans from 5th Edition, 1945; Part II trans from 4th Edition, 1945. Fine copies.. First American Edition. Soft Cover. Near Fine/None as Issued. By Welchons, A.M.; & Krickenberger, W.R.
Boston, MA: Ginn & Company, 1933. Complementary Professional Copy. Text/BRAND NEW & Bright w/trace creasings to lower front corner of first pages. Illustrated orange linen boards/NF w/soil spots to leading front edge. DJ/None. LAID-IN: Publisher's promotional statement. Textbook. Course includes proofs of fundamental theorems and corollaries, and the subsidiary theorems listed either by The College Entrance Examination Board (established 1900), and/or by the Nat'l Committee of Mathematical Requirements (established 1922). Prefatory matter precedes 6 chapters: I, Lines & Planes in Space; II, Dihedral & Polyhedral Angles; III, Prisms & Cynclinders; IV, Pyramids & Cones; V, Spheres; and, VI, General Polyhedrons. Fine copy despite flaws and less dust jacket.. First Edition, First Thus. Hard Cover. Near Fine/No Jacket. New York, NY: Dover, 1952. Text/BRAND NEW & Bright. Illustrated soft cover/NF showing light wear & faint discoloration. This volume contains additional problems in elementary theory of functions and some 230 problems in advanced theory of functions.. First American Edition. Soft Cover. Near Fine/None as Issued. New York, NY: Herbert Michelman/Crown Publishers, 1980. BRAND NEW COPY w/trace wear to dustjacket. A complete guide, and reference/resource, to correct ballet training for pre-kindergarten to adult beginners. 10 pragmatic chapters examine all aspects of ballet dance classes including type of floor used: 1, Ballet Class: The Facility; 2, Teachers & Teaching; 3, Dress & Footwear; 4, Judging the Teacher; 5, The Ballet Class & Beyond; 6, Homework; 7, Keeping the Balance; 8, The Boy in Dance; 9, Adult Beginner Classes; and 10, The Professional, followed by Glossary and Ballet School Evaluation Checklist.. First Edition, First Printing. Hard Cover. New/Near Fine. First Edition, First Printing. New York, NY: Thomas Yoseloff/A.S Barnes, 1966. Text/BRAND NEW & BRIGHT. Grey linen boards w/silver spine lettering/Fine. DJ/VG; price clipped w/short closed tears to lower sprine repaired with archival tape. Six books-in-one, this Revised Edition was first published 1948, on the 20th anniversary of the United Nations (UNESCO). Proposal of an international language. A scholarly work initially written 1887 by Polish-Jewish ophthalmologist L. L. Zamenhof. "Esperanto" --- term derived from Doktoro Esperanto , meaning "hope". 249 pgs in 6 Books: I, Language & Interlanguage; II, Practical Textbook of Esperanto; III, The Modern Esperanto Reader; IV, Guide Book for the Practical Esperantist; V, Classified Esperanto Dictionary; V, Esperanto-English Dictrionary; and VI, English-Esperanto Dictionary... Vintage/Internal Language. 2nd Revised Edition, 2nd Printing Reprin. Hard Cover. NEW/Near Fine. New York, NY: F. S. Crofts, 1946. Text/NEW & Bright. Brick-red linen boards/NF. DJ/None. PO name to front cover verso. Classic textbool on German language grammar. First published 1943 as a shorter version of "College German" designed for an one-semester college course by Evans, M. Blakemore (1874-1953) and Robert Oswald Roseler (1883 -). 204 pgs in 21 chapters w/appendix & German/English, English/German vocabulary lists to rear.. First Edition, 7th Printing. Hard Cover. NEAR FINE/No Jacket. Vintage/German Grammar. Hastings-on-Hudson, NY: Morgan & Morgan, 1965. Text/BRAND NEW & Bright. Beige boards/Fine. DJ/Good; sound w/tape repaired closed tears to upper edges & surface soiling. PO name to fEP. Textbook and reference. Noted introduction to the photographics process. First published 1957; this is the 2nd Edition of 1965. Author George T. Eaton (1910 - 1995) of Eastman Kodak in Rochester, New York 124 pgs, in 15 chapters: 1, The Photographic Process; 2, The Chemical History of the Photographic Process; 3, The Photographic Emulsion; 4, The Reaction of Photographic Emulsions to lLight; 5, Solutions & Chemicals in Photographic Processing; 6, Photographic Developers; 7, Chemistry of Development; 8, Chemistry of Color Development; 9, The Measurement of Development; 10, Control of development; 11, Photographic Fixing Baths; 12, Reversal Processing; 13, Practical Color Processes; 14, Washing Processed Photographic Materials; and 15, Practical Washing Requirements, followed by 3 appendices. Fine copy in tired dustjacket.. 2nd Edition. Hard Cover. NEAR FINE/Good.